LANS HALAL Vege Dining is a cafeteria for international students. 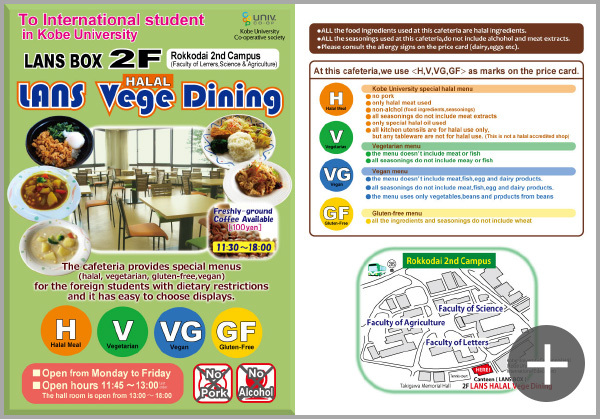 This cafeteria aims to accommodate requests of international students for more diversified diets. Be assured that halal, vegetarian(vegan), and gluten free dishes are available. 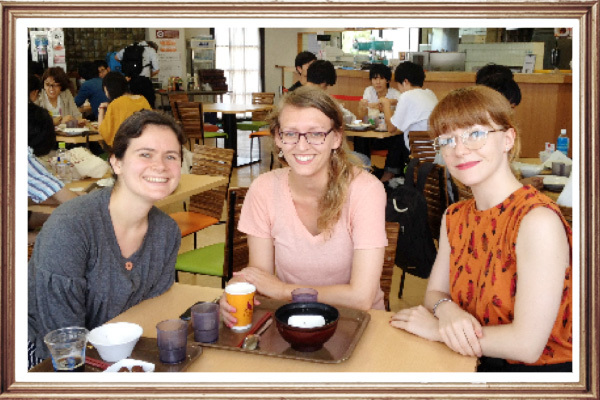 After lunch time, you can use the space as a place of recreation and relaxation or a place to chat with Japanese students (a coffee server is available). We’ll do our best to make improvements so that you can feel more comfortable in our place. People are helpful and give a good service. The foods are delicious and have many variations. This place provides halal foods for Muslims' students. It would be so nice if there is a chili sauce.